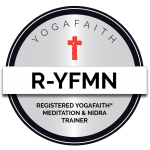 Learn how we can help heal the world and lead other’s into the presence of God through the ancient healing modality of Guided Nidra. 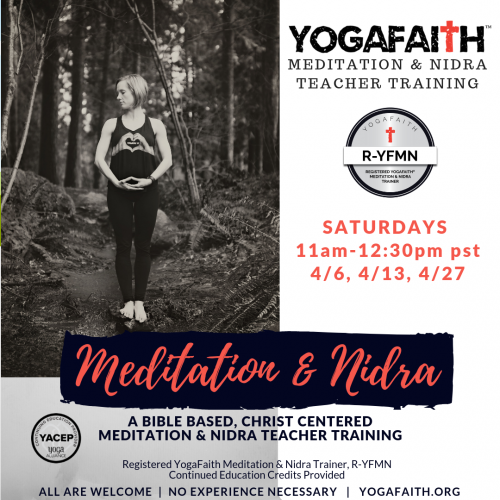 Explore biblical principles and the ancient art of Meditation and Nidra. Many who have taken this course said this training elevated every single class taught after this certification. 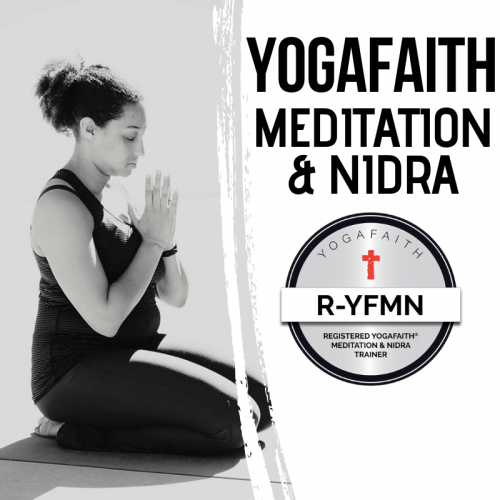 This course includes a plethora of materials and redeems Meditation for the glory of God! Guided meditation is a process by which one or more participants meditate in response to a provided guidance, by a trained practitioner or teacher, either in person or via a written text, sound recording, video, or audiovisual media comprising music or verbal instruction, or a combination of both. Nidra is the deepest relaxation once can achieve while being conscious and used often to help complex trauma. During our time together learn the many ways that you can help others heal through this modality of relaxation, peace and restfulness.